… spent two years in a London prison for the charge of gross indecency and homosexual behavior? During his imprisonment, his health deteriorated because of the food or lack thereof, and because of the hard labor he had to do there. Once released, he went to live in France under the name Sebastian Melmoth. 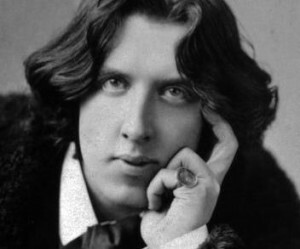 He died of cerebral meningitis three years later, on 30 November 1900. His remains are in the Père Lachaise Cemetery in Paris.